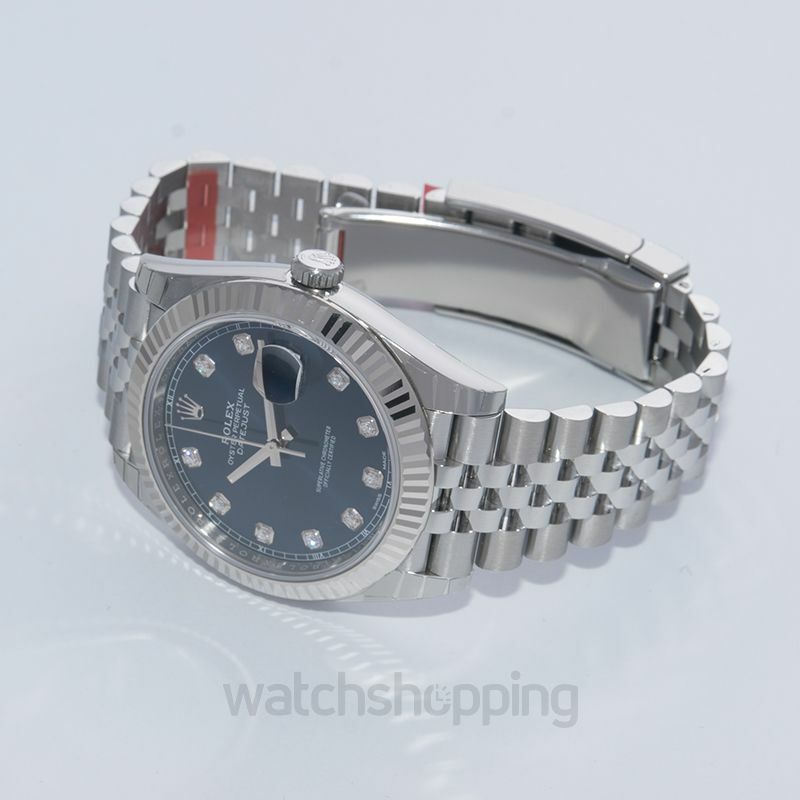 This elegant design from Rolex excels in reliability. 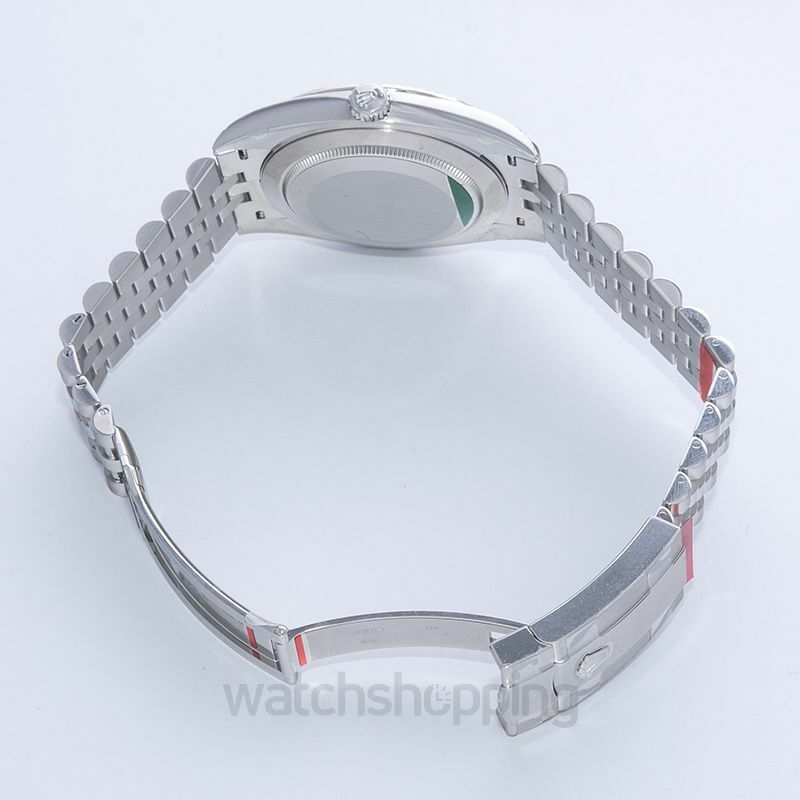 Made with a perfect blend of Oystersteel and 18ct white gold, the casing gives a reflecting look. 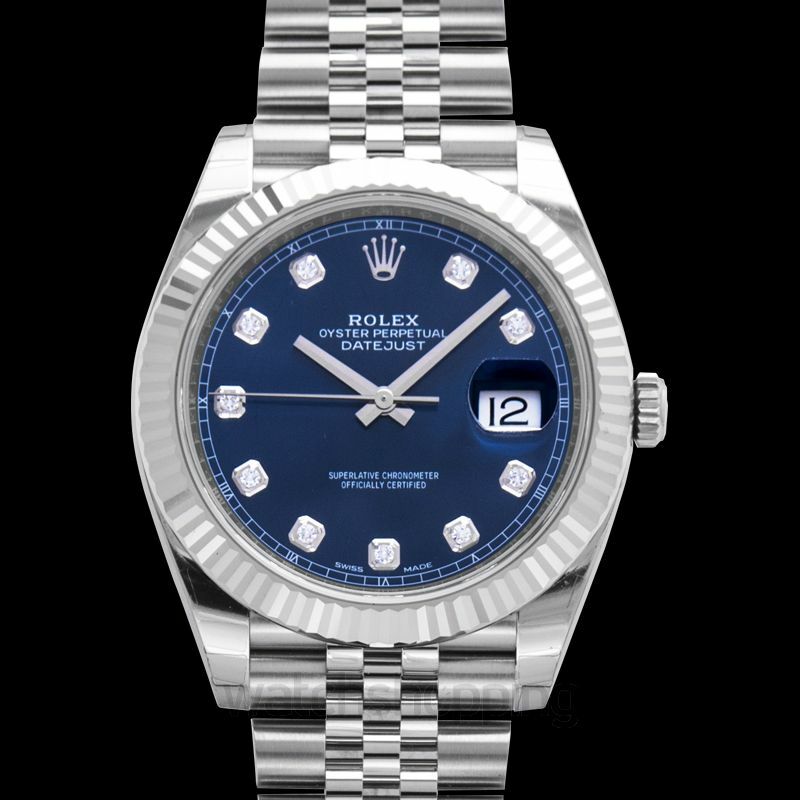 To go with this, a decent blue color dial with a sunburst finish is added which is set with shining diamonds and stick hand styles. 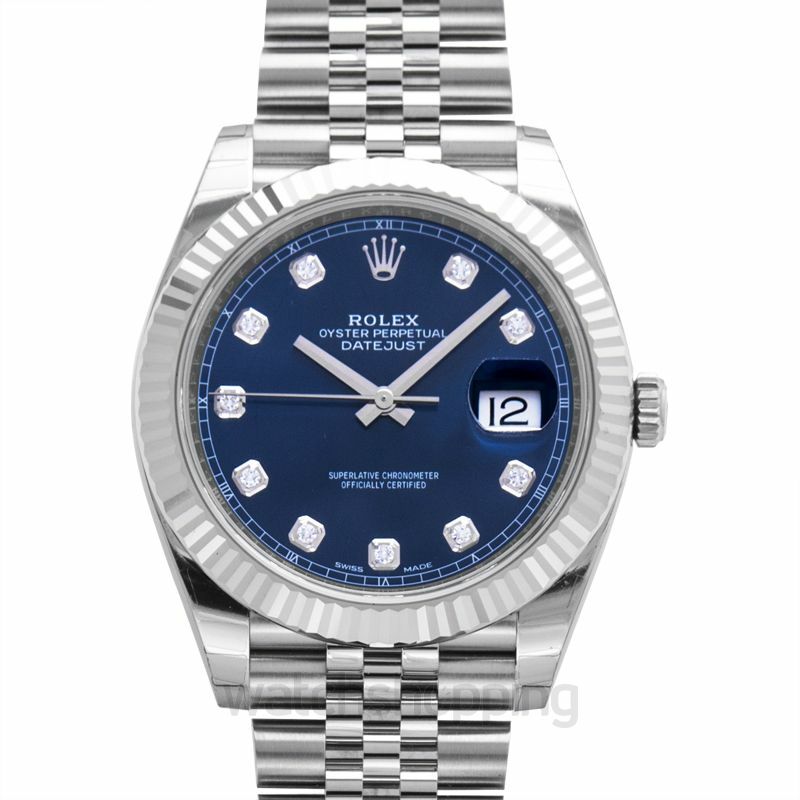 Moreover, it also displays the date at the 3’o clock position of the dial, enclosed with cyclops lens to give a magnified look. In addition, it has a power reserve of 70 long hours.